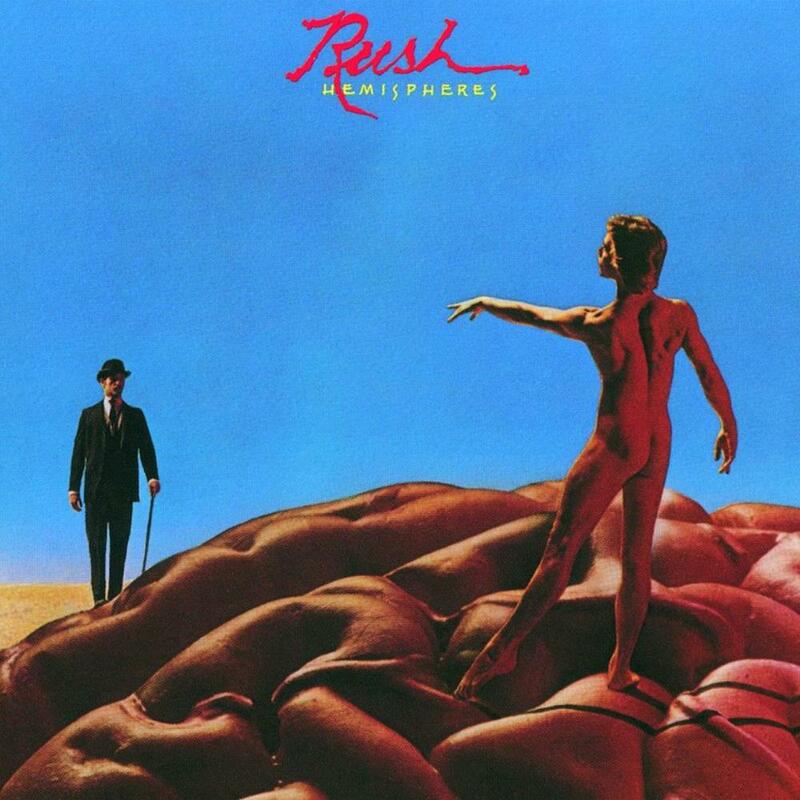 Rush smack brains and give the first essential Rush album. Yes, this is essential Rush. The opening epics winds well, and every facet of the album seems to be a very slight increase over A Farewell To Kings. With complex rhythm section and a fine musical attack, the opening epic is full of energy and musical thought. The crunching guitars laced with keyboard strokes and Pert's skillful and technical drumming are fine. It is a worthy addition to what was perhaps the best moment of the last disc. But, Rush don't redefine their sound, nor do they obtain some magic new abilities. This is generally the same band, playing the same style of music as before, only more skillfully and with more thought put to the work. This leads one to feel an aura of stagnation. The opening epic easily falls to the blade of stagnation. Add this to the choppy and disjointed composition of it, and this becomes an awkwardly off-putting affair. The song rocks furiously, though. And the multiple musical ideas present are fantastic when they let loose and the band culminates itself as a powerful force. Circumstances is probably the only real last monolith in their influences and roots sound. It loses the album's vigor, and lacks creativity. This is the first, and only real drop the album has, but it still rocks harder and more skillfully than any previous "filler" songs on Rush records. It doesn't bring anything new to the table, though. Which is my main criticism of Rush, in general. They rely too heavily on that "filler hard rock" style. The Trees brings forth a moment of sheer lyrical talent, as Rush play one of the most restrained and meaningful tracks they've played in a long time. The musicianship is great, and the singing Geddy performs is better than ever. But, things are to get better. Rush go even farther in defining their boastful sound, and the writing continues to improve. The Trees has the most cohesive structure out of any non epic Rush song that I've heard. The album closes with an instrumental. La Villa Strangiato. With all the meandering sections it holds, there are many fine moments present. I feel it goes on too long at certain points, and the keyboards are still not up to par with the other instruments utilized. But, the soft, restrained soloing from Alex is a markedly amazing performance. Finally, a Rush moment I can get emotionally attached to. This song definitely features Rush at their most mature and deft. This song, specifically about halfway in, is the strongest musical statement on the album, and possibly in Rush's career. Fantastic. Rush go even farther as a cohesive musical unit, and produce a more adventurous and astounding album. The somewhat short running time could put off some people. It still suffers from a lack of skill in songwriting, but Rush rarely did better than the highest peaks of this album. Fantastic. Best Moment - La Villa Strangiato, hands down. Worst Moment - Circumstances, but nothing is terrible.